Well, turns out that the 6 month coggins requirement from yesterday blew over. A regular health certificate with the vesicular stomatitis addition will be enough. That is great because now I don’t have to ask Dr. Ross to come out or haul Eddie to ISU for a quick coggins blood draw, and pay the expedited fees to get it done in time. Yay! Next ATC-related order of the day was to go to the embroiderer and pick up the saddle pads. I am a Purina Regional Ambassador because I really believe in the company and have seen consistent positive results with my horses and my clients’ horses when they are fed the Purina feeds that are best for them. If you are searching for feed answers, I can probably help. If I don’t know the answer, I can get it for you from people with Ph.D.s in nutrition and years of experience, personally and professionally, with horses, and who are delighted to help. 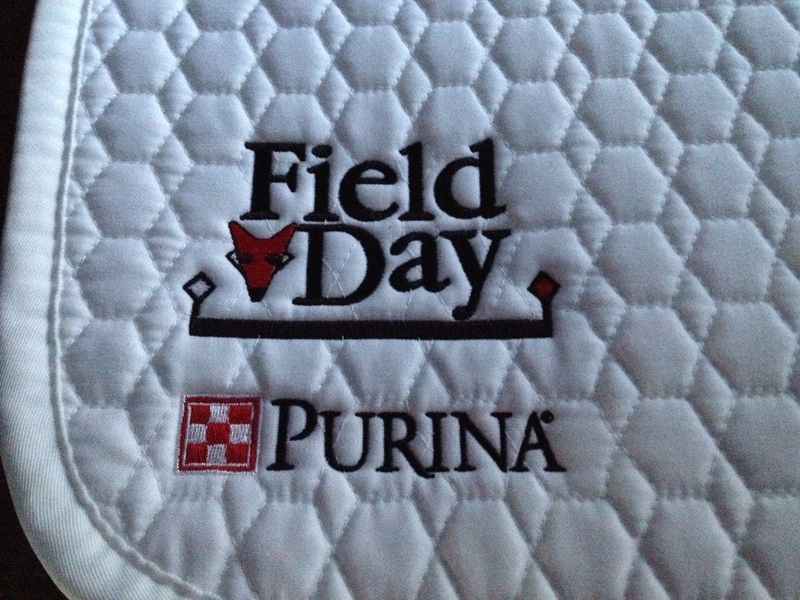 It also means that I get to carry the Purina logo on my saddle pad. I am a total science girl and I love the way Purina uses solid science to develop their feeds. It makes me feel good to feed it and to carry their logo. 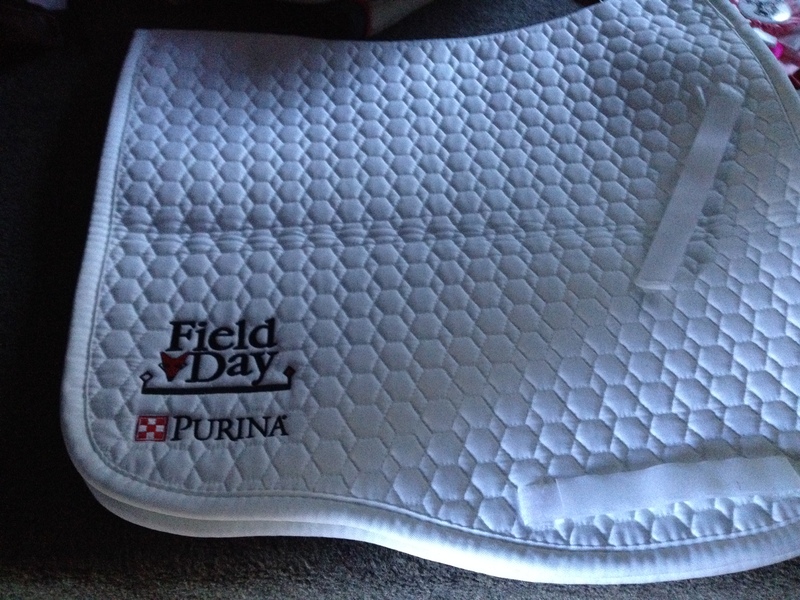 I bought a new Euro-cut dressage pad in celebration of qualifying for the AECs and put the Purina logo and my logo on it. Maureen Malloy at Thunder Road Embroidery does a nice job. I had my final dressage lesson before departure, with Trudy Tatum. We ran through the test about 5 times, tweaking here and there. Eddie was happy and light and right on the aids and I am am feeling good about my riding too. We worked especially on transition into and out of the free walk, leg yields and canter work. Trudy and I were both very happy with the work and we talked and laughed on the walk back from the dressage ring (way out in the pasture) about how much fun the ATC will be. If I can get 90% of what we had today in TX, I will be very happy indeed. My mom and her friend Julie came over and had dinner with us late in the day. It was nice to meet Julie and to see what fun they have together. Everybody needs a good friend that makes them laugh and Mom has found one in Julie. My mom lives in WI, but is in Des Moines for the Samoyed Club of America National Specialty. We are both at nationals this week!